The keenly awaited teaser of Nela Ticket, Ravi Teja’s upcoming action, family entertainer, is out and it has all the ingredients of a typical Ravi Teja film. The fun, entertaining teaser showcases the Mass Maharaj at his energetic best. 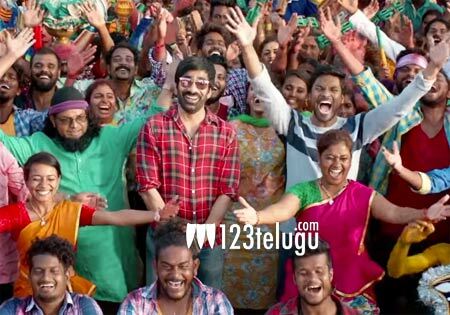 Nela Ticket’s teaser promises a right dose of family emotions and Ravi Teja’s trademark entertainment and mass moments. There’s also a refreshing romantic track between the hero and the young heroine, played by debutant Malvika Sharma. Nela Ticket is being directed by Kalyan Krishna. Ram Talluri is bankrolling the movie under SRT Entertainments banner. Fidaa fame Shakthikanth Karthick is composing the music. Nela Ticket is slated to hit the screens on May 24.